The Bucas Smartex Medium Turnout Rug is a stylish turnout rug offering strength, durability and quality. This Bucas turnout rug has 150g fill with a Stay-Dry fleece lining for perfect comfort and protection at both lower and higher temperatures than other rugs of similar weight. This mediumweight turnout rug can be put on a wet horse the same way as a sweat rug to quickly dry the horse and can be left on, thus avoiding extra rug changes. 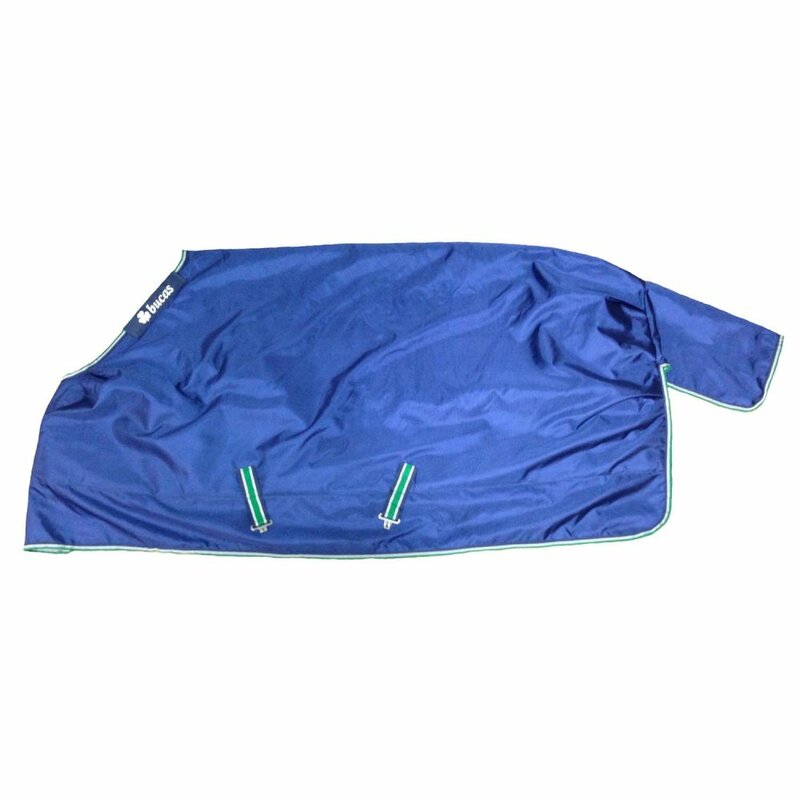 The front of the Bucas Smartex Turnout has an overlapping comfort closure with double padding for extra protection. The Click'n Go closure buckle is easy to use making opening and closing easy. The shoulder darts in the neck give a shaped front to allow extra room for the shoulders and the generous tail flap ensures your horse is as protected as possible. The Bucas Smartex Medium Turnout Rug has fastenings to attach a neck cover and elasticated leg straps to help keep the rug in place.